Hi, my name is Robert Iriartborde. (Trust me, I also at times have trouble with my name. It’s pronounced “eerie-art-board”). Welcome and thanks for checking out Scenic Audio. I’ve been an audio engineer for over 20 years in the San Francisco Bay Area. My career started at Sound on Stage after graduating from the Broadcast Communication program at SFSU. It was a great initial stepping stone into live sound but my passion was always in recording. The next number of years were at The Music Annex Recording Studios s tudying under veteran engineers and producers. I was fortunate enough to work with renowned musicians such as Ronnie Montrose, Tony Lindsay (Tony Lindsay Band, Santana) Mickey Thomas (Jefferson Starship), Ron E. Beck (Tower of Power), and Sista Monica to name a few. 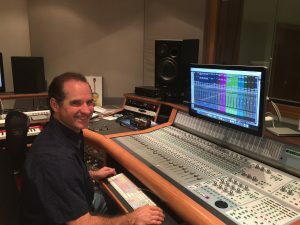 As the digital age launched the home studio revolution, I returned to live sound as an engineer at Menlo Park Presbyterian Church. I implemented recording studio techniques by setting up multi-track systems to capture a variety of set ups ranging from concerts, orchestras, choirs, and conferences. Even with full time jobs in the industry, freelancing has always been a part of my career. I am now putting together my recording and live sound experience to help serve your musical goals. Looking forward to recording your art.